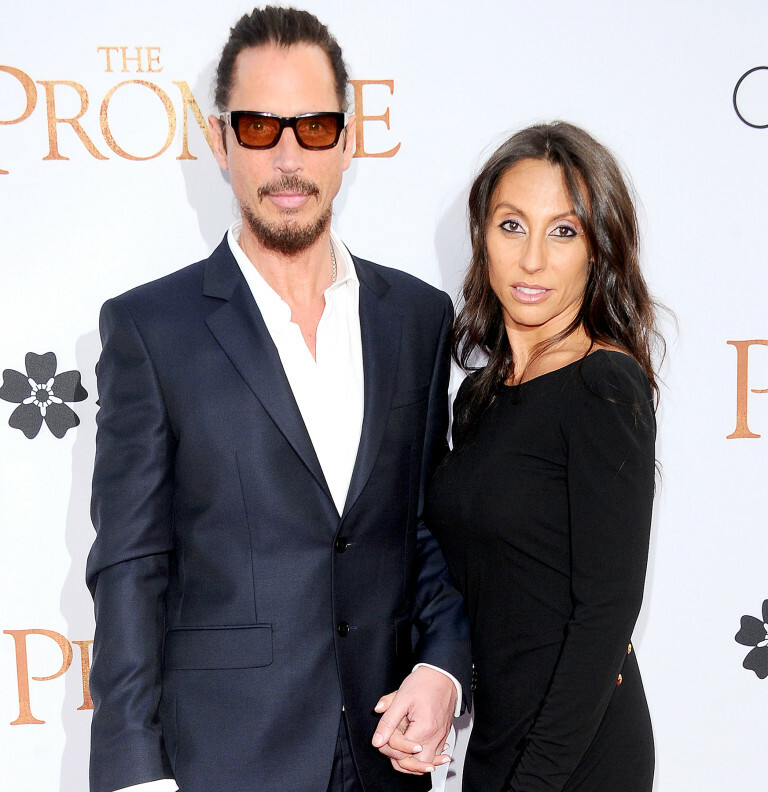 In her first Televison interview since her husband’s death last May, Vicky Cornell talks about her husband Chris Cornell’s unintentional relapse before his final days. In the interview with Good Morning America’s Robin Roberts, the widow spoke about the medication given to Christ to “help him sleep better” after a shoulder injury. “If you have to give it they have to be closely monitored and it should not be given for more than two to three weeks. So relapsed and in a seven-day period he took twenty something pills and in a nine day period 33,” she said. “You think addiction is a choice, and it’s not. I think that if there was less stigma around it, more people would speak up,” Vicky told GMA. Ms. Cornell talked about after a year of taking the prescribed benzodiazapiem, how his demeanor changed. She tells how he was not supposed to be prescribed that type of medication as a person in active recovery, with the exception that with the prescription, it be closely monitored and only be given for 2 to 3 weeks at a time. Not long term. “The brain of someone who has a substance use disorder is different from that of … someone who doesn’t. He relapsed,” she told Roberts of Good Morning America. The night of his final performance, Chris uncharacteristically walked off stage in the middle of his set. The front man was slurring his speech and forgetting lyrics while playing. She spoke to him after his concert and was concerned. He told her he may have taken “an extra Ativan or two” which sparked her worry paired with his behavior and alerted his security. After his security team got to his room, he was found dead due to hanging. Ms. Cornell blames the medications he was on for impairing his judgement and strongly believes he would still be here today had he not been given the medicine. Although the singer has struggled with drug and alcohol abuse in the past, since he had sought treatment in 2002, he was considered to be in active recovery up until his relapse a year prior to his death. The chair of the department of Pathology at the University of Miami Miller School of medicine, Dr. Richard Cote, who was responsible for the singers autopsy, told ABC News that two drugs in his system may have contributed to his impaired judgement and motor skills at the time of his death.